How long is too long for a Non-Compete Restriction? A non-compete agreement can be invalidated or reformed if the non-compete duration is unreasonably long in duration. What is an appropriate duration for a non-compete restriction? The short answer for what constitutes a reasonable length for a non-compete restrictions is that it depends on a number of factors but the most important factors are the significance of the employer’s business interests to be protected such as trade secrets or customer contacts and whether the non-compete agreement is attendant to employment or the sale of a business. In Michigan, for example, courts have generally approved of non-compete restrictions in the employment context of up to two years. 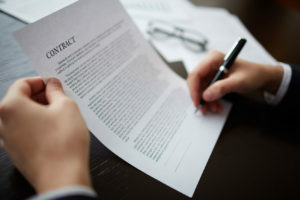 It is possible but rare that a Michigan Court will approve a non-compete restriction of more than two years but under very compelling circumstances it’s possible to justify. The most commonly seen non-compete restriction that we see for employees across a wide spectrum of employment is one-two years in duration. In the case of a non-compete related to the sale of a business Michigan courts have upheld non-compete restrictions lasting up to five years in duration as the seller usually has unique knowledge of the marketplace and customer contacts justifying a longer duration non-compete restriction. Again, a compelling case could in rare circumstances justify a longer period of time for a non-compete restriction depending on the uniqueness of the product or service in the marketplace or industry and the amount of consideration paid for the non-compete agreement. Is your non-compete restrinction too long and therefore unreasonable and potentially void or subject to reformation? A careful analysis of your circumstance by a qualifeid non-compete attorney at Traverse Legal will assist you in answering this question.